Surprisingly Big Triplex (4485 sqft.) nestled in the heart of Fruitvale District with two vacant units. 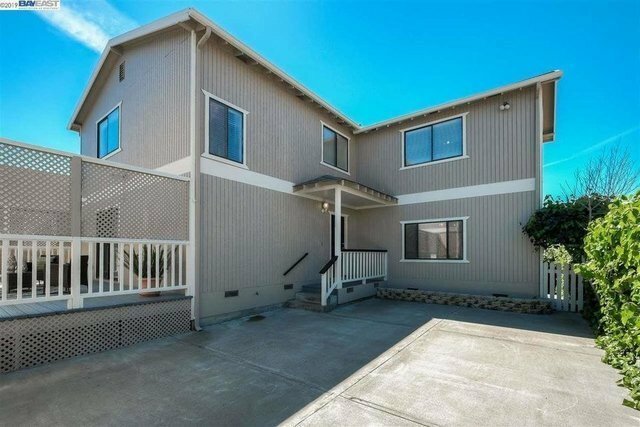 Not your ordinary triplex, there are two buildings on one lot: 2 Story Duplex built in 1989 and a 2 story 3 bd 2.5 ba detached home built in 1991. The detached home offers plenty of space with bonus storage room, chimney and integrated vacuum, and huge master and two decks. The front building has a large 3 bd 2 ba unit with balcony upstairs, and a large 2 bd 2 ba down stairs. Electric water heaters, and each unit has a master bed-room with its own in-unit laundry hookups. Plenty of space for parking. Great opportunity for investor or owner-occupied buyer. One unit is tenant occupied. Please do not disturb the tenant. Tenants to remain at COE. Buyer is responsible for City of Oakland PSL Certificate/ and or Extension.